In many organizations, the role of the software tester is largely undervalued and misunderstood. 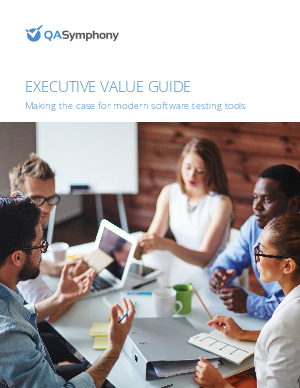 The executives see the testing team simply as a cost center, but nothing is further from the truth. In today’s world, almost every company is a software company. Whether you’re an airline, retailer, bank or hospital, software is critical to the way you operate your business. And if something goes wrong with your software, the damage to your company could be catastrophic. Executives that take the narrow view of testing as a cost center don’t understand the full impact testing can have on their business. Because it’s not about “software testing,” it’s about “software quality.” It’s about making sure that your software really works for the end users. It’s about making sure your software doesn’t go live with major defects that could interrupt your business.